BOOM! BOOM! Flip a coin, if heads your opponent is paralysed. 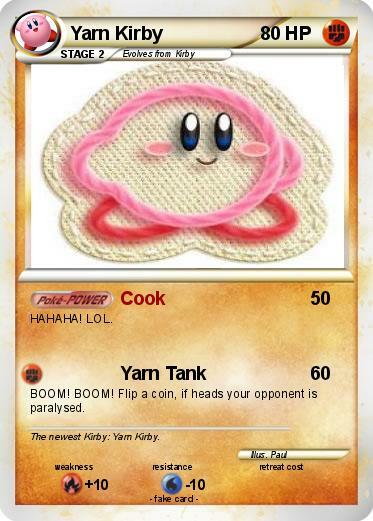 Comments : The newest Kirby: Yarn Kirby.